Mendoza is a pleasant, friendly city, a university town, the kick-off point for Andean excursions, and the capital of the largest wine-producing district in Latin America. Its transport development was unusually international, with vehicles and technology imported from the USA, UK, USSR, Germany, Belgium, Japan and Canada. 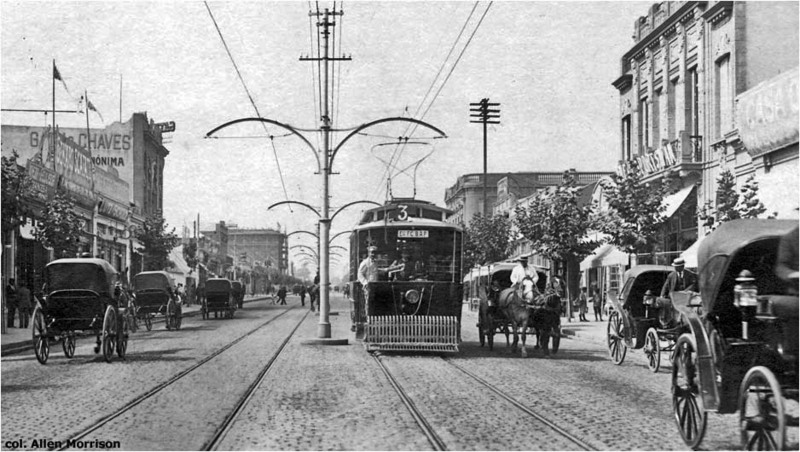 Approximately half its trams and trolleybuses came from Germany. Population of the metropolitan area today is about 900,000. The date of the picture above and other details of the Mendoza project are unclear. All its trolleybuses came from Mercedes-Benz, but reports of their quantity range from 15 to 30 vehicles. Some are believed to have operated for a while in Buenos Aires, while others came from Bahía Blanca (whose system never opened). 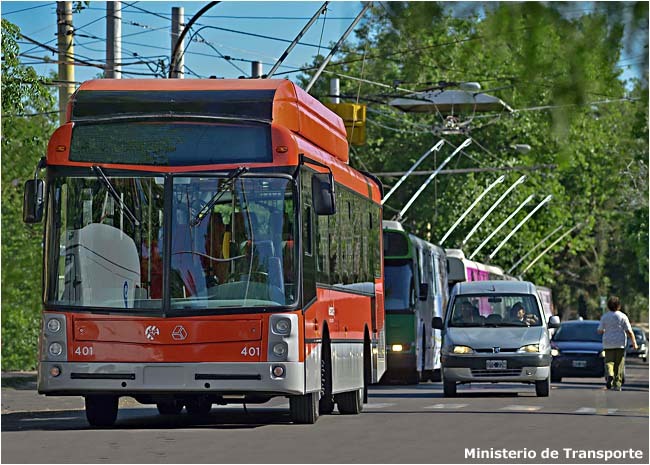 The new Empresa Provincial de Transportes de Mendoza ["EPTM"] inaugurated the Parque line of the city's new trolleybus system – from Calle 9 de Julio over Colón and along Av. Boulogne Sur Mer – on 14 February 1958 [see map]. 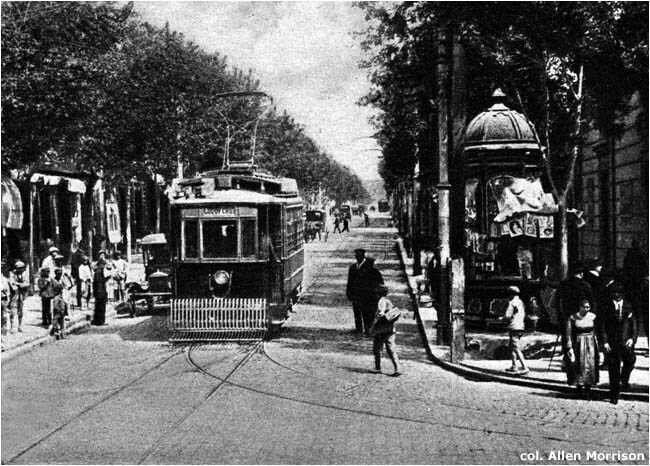 AEE's tramway system closed twice. The last two lines shut in 1964, but the main route on Av. San Martín reopened later and continued operation until November 1965 [see map]. 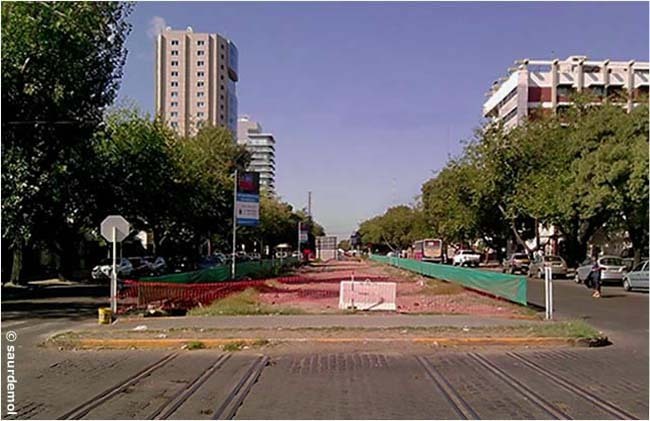 It was the second-last closure of a tramway system in Argentina. 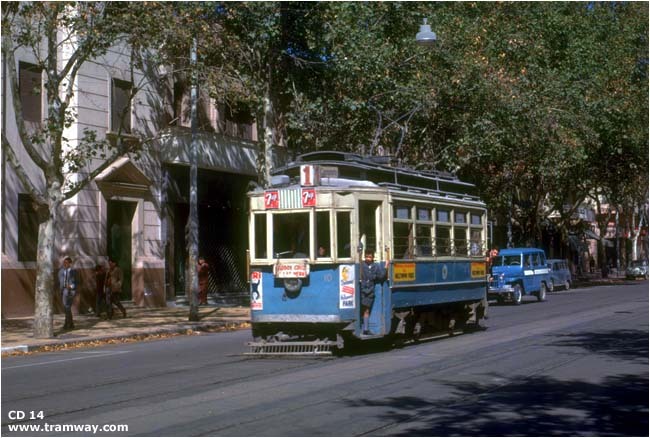 Only La Plata ran trams longer, until Christmas 1966. 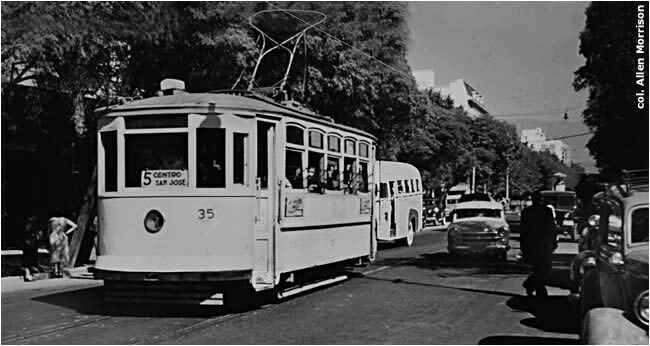 The Mendoza trolleybus system is the third-oldest in South America (only São Paulo and Valparaíso opened lines earlier: see list). Six routes radiate from the city center [see map]. The last passenger train left Mendoza's railroad station for Chile in 1979. 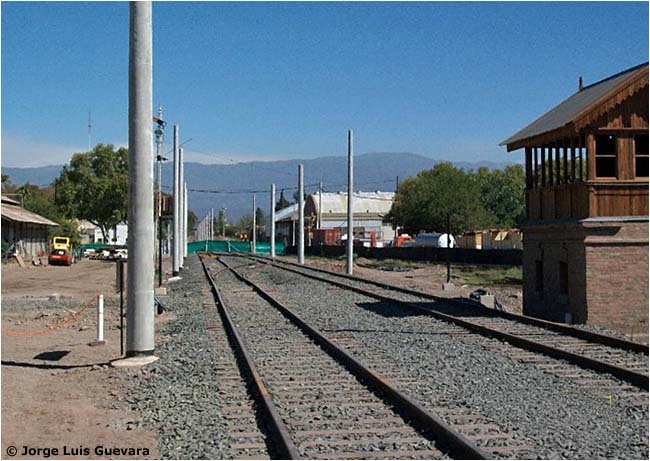 The meter-gauge line over the Andes remained intact for freight service until 1984, and a few isolated segments survive today. But the rails in the mountain section are gone. The last broad-gauge passenger train left the station for Buenos Aires in 1992, and since that time the railroad yards and most of the railroad lines in the area have sat abandoned [see map]. 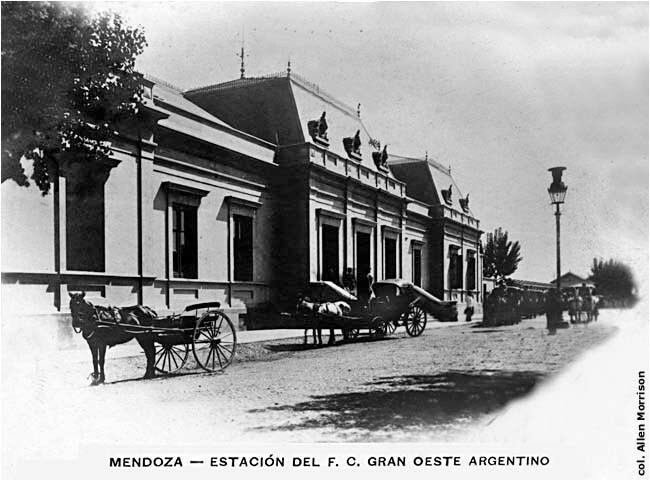 Mendoza, Dirección General de Industrias. "Parque del Oeste". 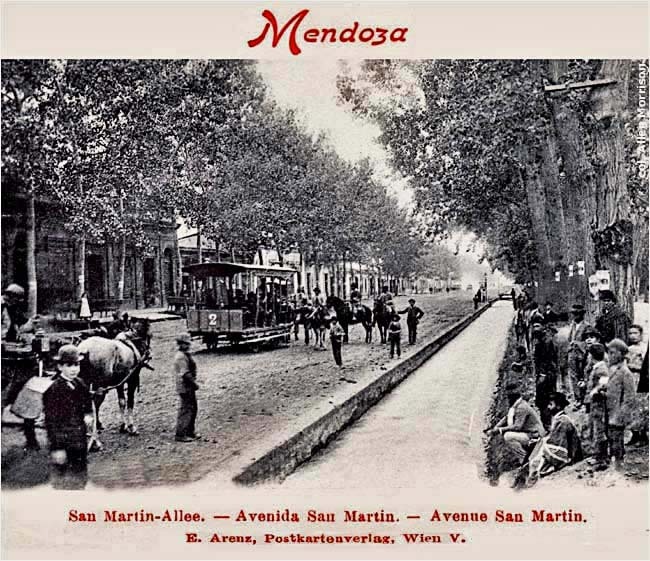 Mendoza, 1911. An early map of Parque General San Martín at scale 1:2,000 shows the railway route. Reproduced as Fig. 295 in Jorge Ricardo Ponte's Mendoza, aquella ciudad de barro [see below]. "Deutsch-Ueberseeische Elektricitäts-Ges. in Berlin" in Handbuch der Deutschen Aktien-Gesellschaften 1914-15, Berlin, 1915. Description of its subsidiary, Empresa de Luz y Fuerza S.A. of Mendoza, p. 2226. "Electric Light, Power, and Tramway Companies" in The South American Year Book (London), 1915. Finances, operation and history of the Argentine Power & Railless Traction Co., Ltd. and the South American Railless Traction Co., Ltd., p. 161 [see here]. Frederick Magie Halsey. "Investments in Latin America & the British West Indies" in U.S. Bureau of Foreign & Domestic Commerce Special Agents Series #169. Washington, 1918. Report on the Empresa, Luz y Fuerza de Mendoza, p. 69. "Compania [sic] Hispano-Americana de Electricidad" in Le Recueil Financier 1922, Paris 1922. Details of the tramway companies acquired from the Germans in 1920. 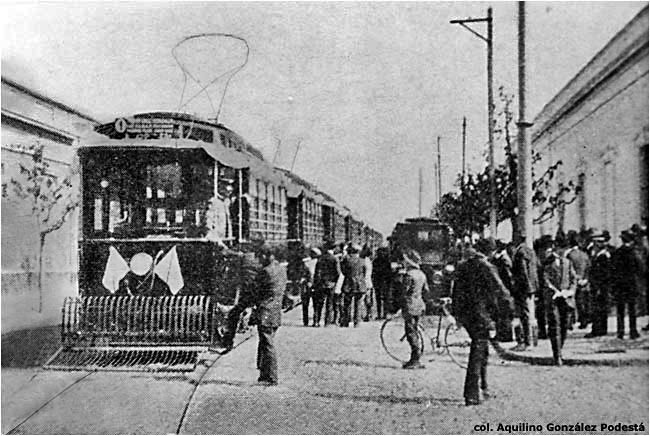 "Tranvías eléctricos de Mendoza – Recorridos" in El Amigo del Viajero (Santiago, Chile), 1922 and 1924. Itineraries of four tram routes when street traffic still ran left-hand. Municipalidad de la Capital. Plano de la Ciudad de Mendoza, 1925. Nice street map shows electric tram routes (including the Parque line which opened in 1926). "Société Financière de Transports et d'Entreprises Industrielles (SOFINA)" in The Stock Exchange Year-Book 1931, London 1931, p. 3056. 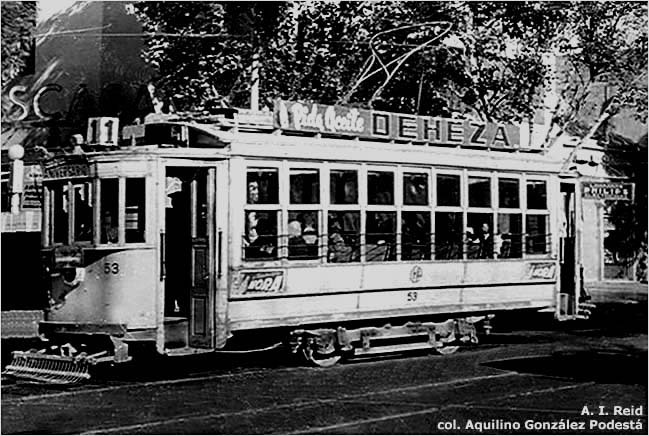 Finances of the Belgian company associated with the Compañía Hispano-Americana noted above, which controlled the Mendoza tramway in the 1920s. 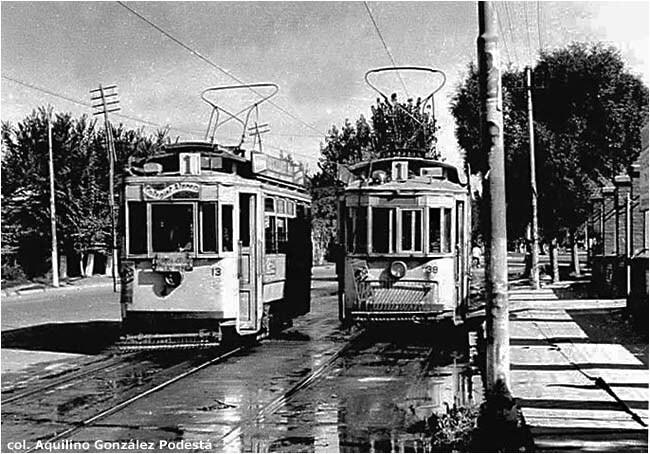 "Tranvías de Mendoza" in Guía Peuser, Buenos Aires, 1949. 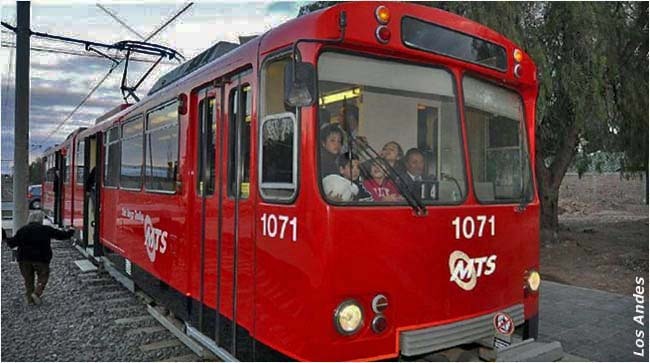 Itineraries of six tram routes. Street traffic changed from left to right in 1945, so tram routes in 1949 were the reverse of those in 1922 and 1924. U.S. Bureau of Foreign & Domestic Commerce. World Survey of Foreign Railways. Supplement #31, "Argentina". Washington, 1937. Report on Compañía de Electricidad de Los Andes, p. 14. John Baird. "Mendoza" map of the tramway system. Unpublished, December 1949. Around 1950 pioneer tramway enthusiast John Baird drew detailed maps showing track layout of every tramway system in Argentina, and also of the systems in Montevideo, Uruguay, and Rio de Janeiro, Brazil (and perhaps other places unknown). 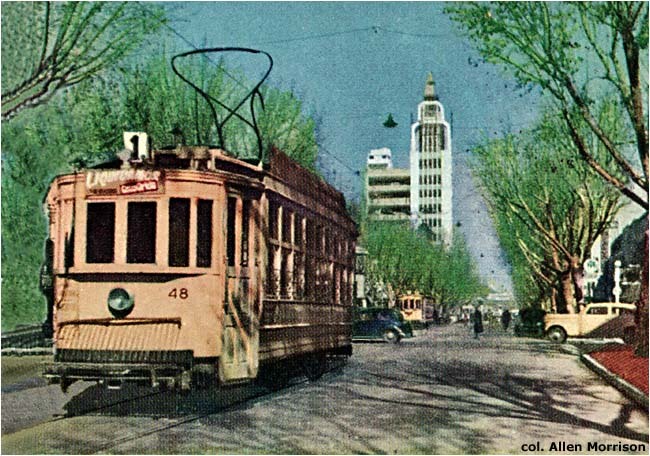 Arnold Irvine Reid was an Argentine tram enthusiast, active in the late 1950s and early 1960s, who advertised and sold his pictures in U.S. magazines and distributed typewritten news reports about his visits to South American cities, including Mendoza. There is a short biography by Marcelo Cáceres Miranda on pp. 4-8 of 9 Puntos #150 (Otoño 2007) of the Asociación Amigos del Tranvía (Buenos Aires). J. H. Price. Hurst Nelson Tramcars. Hartley, U.K., nd . Illustrated history of the Scottish tram builder. On pp. 24-25 the author notes the six trolleybuses ordered in 1911 by Railless Electric Traction Co., which opened England's first trolleybus systems that year in Leeds and Bradford. 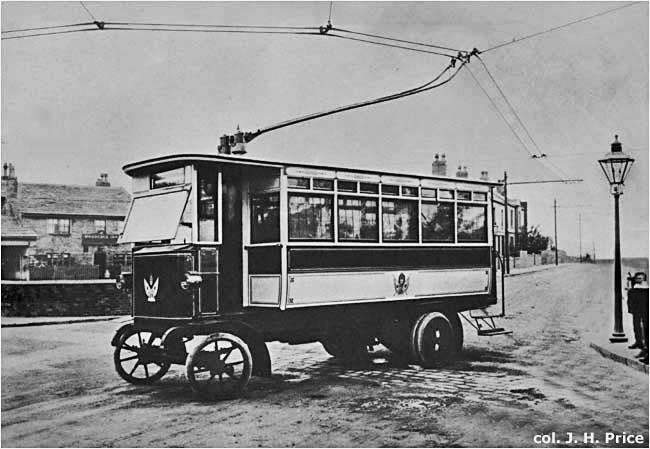 Some of the vehicles were almost identical to the Mendoza trolleybus which tested in Leeds in 1912. Raymond DeGroote. Unpublished "Mendoza" map labeled "Track As Observed 4-15-63" (15 IV 1963): track layout of Las Heras - Godoy Cruz line, and turnouts along Av. San Martín. Aquilino González Podestá. "Los Sistemas Tranviarios Argentinos: Tranvías de Mendoza", pp. 4-8, in Boletín #72 (XI 1982) of the Asociación Amigos del Tranvía. 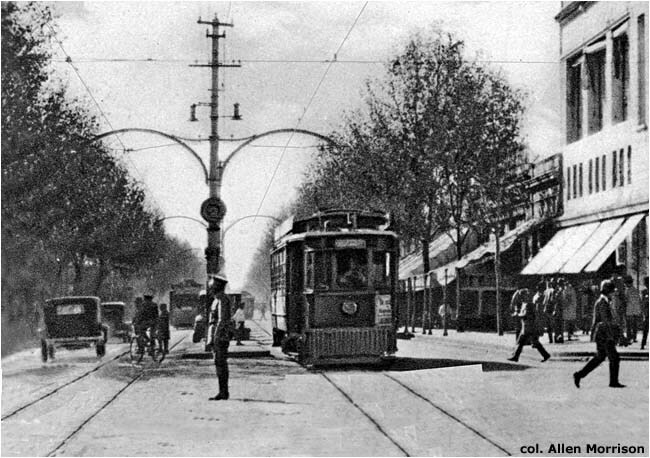 The definitive history of the tramways of Mendoza. Large double-page map shows five tram routes. Steve Morgan. "Expansion in Mendoza" in Trolleybus Magazine #153 (London), May-June 1987. 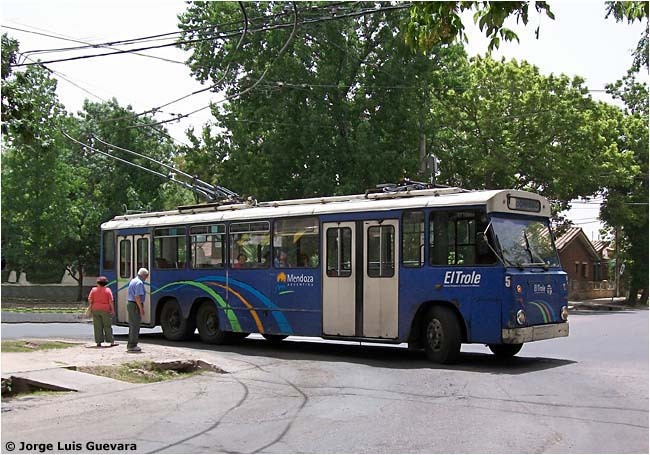 A 6-page survey of the Mendoza trolleybus system, with a map and five photographs taken by the author. "Mendoza adquirió 58 trolebuses usados" in La Nación (Buenos Aires), 5 IX 1988. 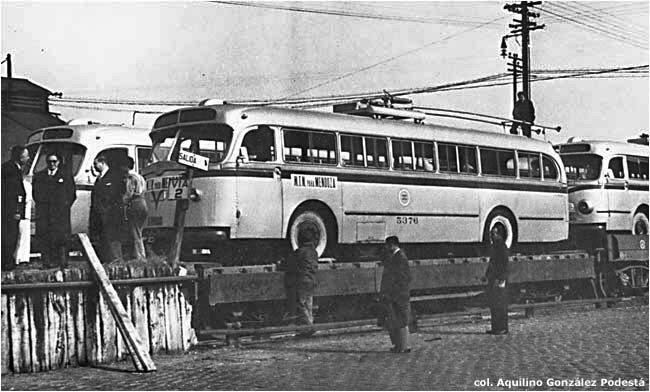 The purchase of used trolleybuses from Solingen, Germany. "Inusual trueque de vino por trolebuses" in El Mercurio (Valparaíso, Chile), 30 I 1990. Article about the 17 Soviet ZiU trolleybuses acquired in exchange for wine in 1984. "Los nuevos recorridos de los medios de transporte" in Los Andes (Mendoza), 28 III 1991. 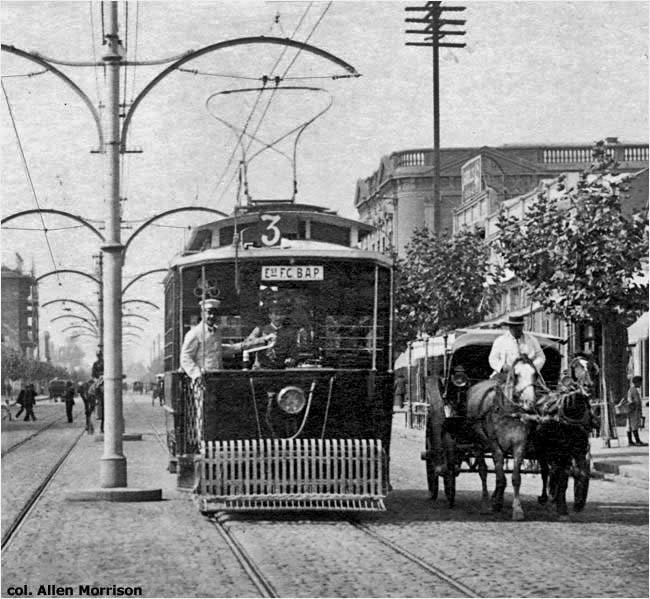 Long article detailing a plan to eliminate all but trolleybuses from the city center. "Siete años de abandono para 41 trolebuses" in Clarín (Buenos Aires), 12 II 1996, p. 39. Newspaper article about the trolleybuses acquired from Germany in 1988, and still largely unused seven years later. Ana E. Castro. El Parque General San Martín: sus primeros cincuenta años. Mendoza, 1996. The park's early development. Construction of the railway, pp. 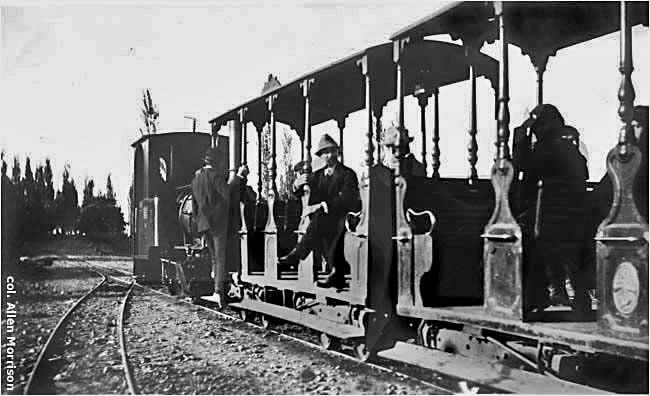 60-61; photo of one of its locomotives, p. 65; "El trencito" inauguration, p. 71; the electric tramway reaches the park, p. 138. No mention of the 1913 trolleybus line. 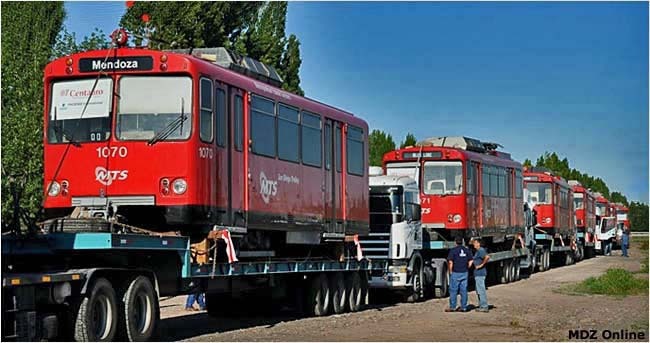 "Trolebuses, una nueva opción para el transporte" in Diario Los Andes (Mendoza), date unrecorded [about 1999-2000]. 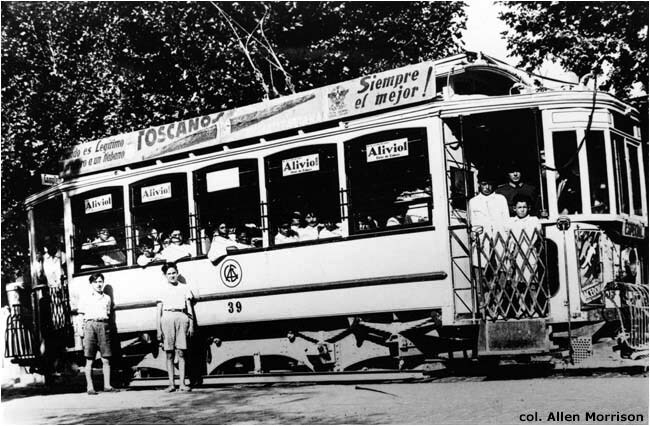 An article about the city's first trolleybuses includes a section entitled "¿Troles en 1913?" which quotes the newspaper's description of the pioneer line. Alan Murray. World Trolleybus Encyclopaedia. Reading, U.K., 2000. The "Railless" entry on p. 120 of the list of U.K. manufacturers notes a 2-axle demonstrator supplied to Argentina in 1909-23. Aníbal F. Trasmonte. El Trolebús, y Otros Ómnibus Eléctricos. Buenos Aires, 2001. The chapter on Mendoza, pp. 76-86, summarizes trolleybus development and contains 12 illustrations. 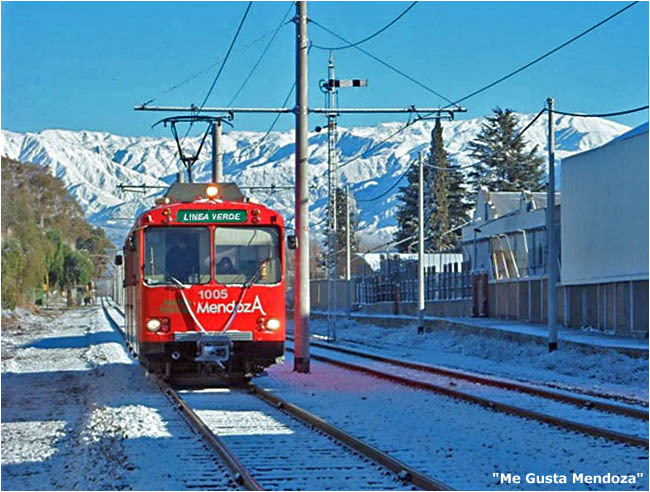 Empresa Provincial de Transportes de Mendoza. "Líneas de Trolebuses" colored route map. Undated, but published about 2007. Jorge Ricardo Ponte. Mendoza, aquella ciudad de barro: historia de una ciudad andina desde el siglo XVI hasta nuestros días. Buenos Aires: 2nd edition, 2008. Impressive 651-page album with 687 illustrations and 140 maps. Fig. 295 is a 1911 map of Parque del Oeste (today Parque General San Martín) which shows the railway line. Fig. 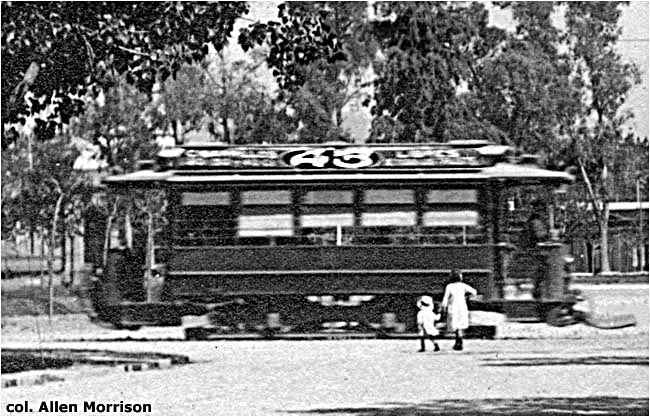 308 is a large tram view of Av. San Martín. Fig 327 is a 1925 street map showing the tram routes. Unfortunately, no mention could be found anywhere of the 1913 trolleybus line. Steve Morgan. "Mendoza Update" in Trolleybus Magazine #291 (London), V-VI 2010, pp. 51-54. News report, three color photographs and two maps: of the entire system and of the central area. Fernando Vallina Padró. 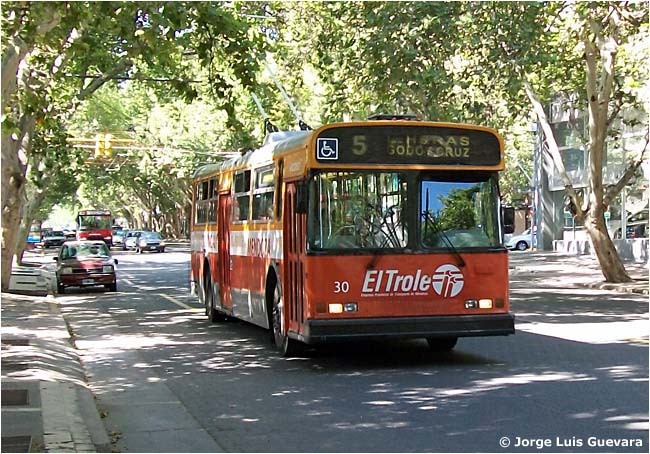 "Los Trolebuses de Mendoza" in 9 Puntos #147-150 of the Asociación Amigos del Tranvía. Buenos Aires, 2006-2007. A 4-part illustrated survey of trolleybus development. Parts 1 and 2 are available as downloadable PDFs. Jorge Luis Guevara. Trolebuses Mendocinos. 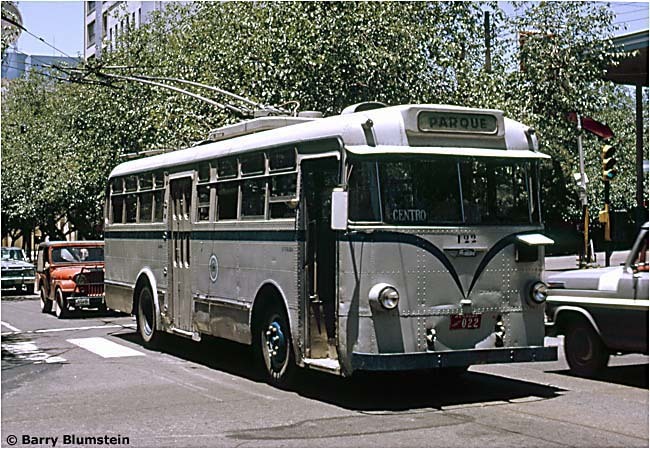 Elaborate blog site, with data, news, photographs and videos about the trolleybuses of Mendoza and other systems in Argentina. Constantly updated. Recommended. Jorge Luis Guevara. 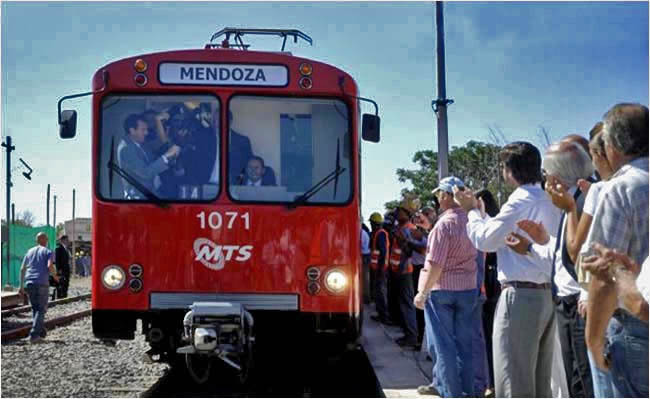 Metrotranvía de Mendoza. Facebook page with numerous photographs. May require registration to view. 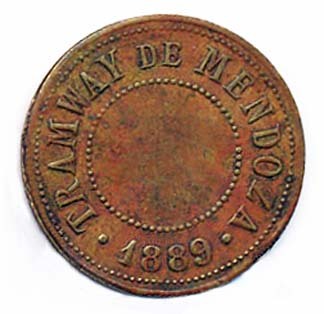 Gobierno de Mendoza. Ministerio de Infraestructura, Vivienda y Transporte. Etapas del Metrotranvía. Map shows future light rail extensions. Gobierno de Mendoza. Ministerio de Infraestructura, Vivienda y Transporte. 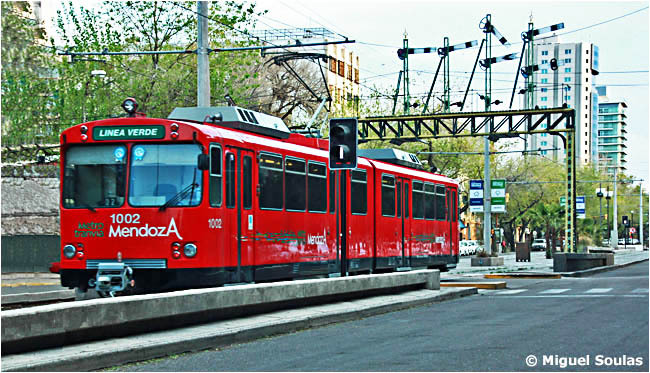 Metrotranvía de Mendoza. 4 1/2 minute video simulates a ride on the line. The author is especially indebted to Jorge Luis Guevara of Mendoza, Aquilino González Podestá and Marcelo Cáceres Miranda of Buenos Aires, Alan Murray of London, and the late J. H. Price of Cambridge, England, for the information and images that they supplied for this page.